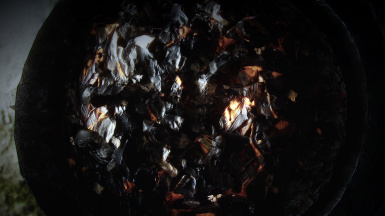 A modification that seeks to improve embers found in various fire sources. 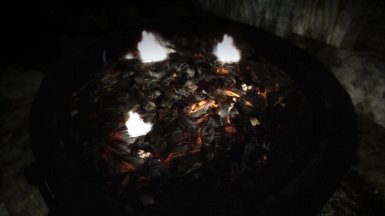 Compatible with for example Realistic Lighting Overhaul and Chesko's Campfire. 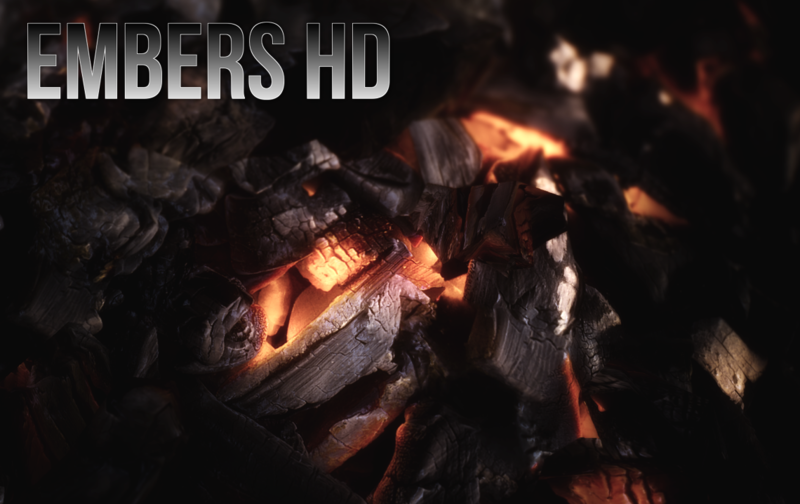 Embers HD - German - Deutsch Die originale Mod wird benötigt. * Bethesda for Skyrim and CK, Boris for inspiration. 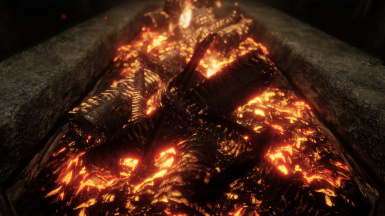 * Rheadude for the permission to create a compatibility patch for his fantastic Ultimate HD Fire Effects mod. 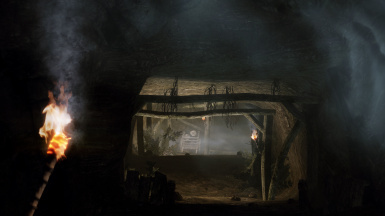 * HalkHogan for the kind permission to use the assets of his awesome REALISTIC HD Blacksmith mod for the creation of the compatibility patch. * Hallodria, Penetrator3, adelinadragonborn and SayonaraAi for motivation, feedback and invaluable help in testing. * Sakr3d for the installer. * USKP (USLEEP) team for the permission to use their improved meshes. * Nifskope team for Nifskope. * Skyfox69 for ChunkMerge. 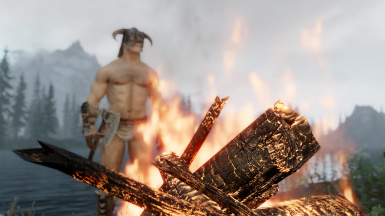 Fire effects can now be controlled with ENB [FIRE] parameters again. Added a heat fuzz to torches when using the custom flame effect. Added a small plugin to fix issues when using RLO - Interiors plugin. Fixed floating embers found in White Phial. Fixed a bug which caused a red rectangle to appear around flames when using the custom flame effect. Removed the ITM record from the plugin. Added ash textures to the main component to make sure they get installed. 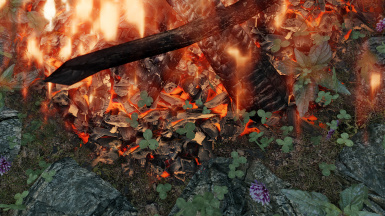 Fixed floating embers in Alor House. Fixed wall-mounted torches when using the STAC compatibility patch. Fixed numerous bugs related to floating and/or clipped embers. Injected USSEP worldspace and cell fixes to the plugin (USSEP not required). Fixed clipping embers in Bannered Mare when using the RLO patch. Fixed the flame disappearing from the wall-mounted torch. Fixed a number of clipping and floating bugs. Improved the new flame effect. Changed all campfires and fireplaces to use the new effect. Increased intensity of the bits of ember shooting from the campfires. 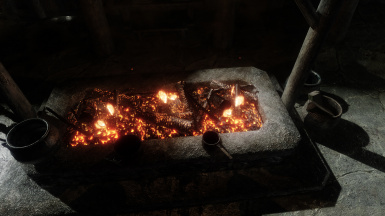 Fixed clipping of the Dragonsreach firepit. 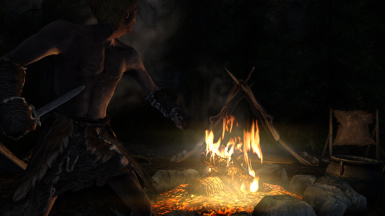 Enabled ENB [FIRE] parameters for campfires. Added a custom fire and flame effect as an optional component. Another go at fixing the crash bug. A possible fix to the pesky texture issue that keeps popping up. 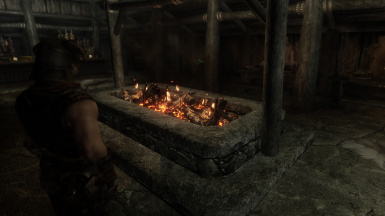 It's now possible to install the fireplaces add-on without the new meshes for the flame effect. Vanilla spell effects are now kept intact even with the new flame effect installed. Removed meshes conflicting with ELFX, replaced with cell edits. Added a compatibility patch for Smoking Torches. Added ash below the embers to help with blending. Fixed floating embers in Markarth Abandoned House. Fixed a bug with campsite stones having an incorrect texture. Improved campsite stones and their vertex colors. Fixed plugin FormID to match SSE, thanks to Gothpunk4Christ. Also removed the unnecessary _p texture maps. 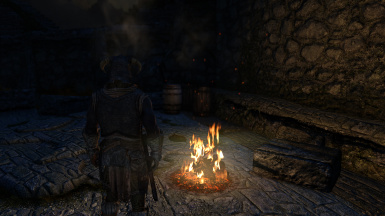 Added a compatibility patch for Chesko's Campfire mod. Does not require other optional components but works with them as well. Added a compatibility patch to fix the glitched shadows in inns when using Realistic Lighting Overhaul. 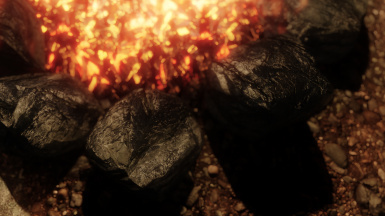 This is a small mod that makes embers found in various fire sources around the game world more aesthetically pleasing. Compatibility patches are included for Realistic Lighting Overhaul and Chesko's Campfire. 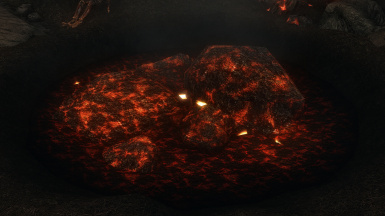 Optional components implement Embers HD style jazz to forges around Skyrim and Soltsheim and improve Solstheim lava craters. If you're using ENB, the intensity of the glow is controlled by [WINDOWLIGHT] parameters. To install, use NMM or copy the included files to your Skyrim/Data folder. To uninstall, delete the installed files or use NMM. I'm always interested in improving the mod so if you have any ideas let's hear them! While you're at it, check out my Smoking Torches and Candles as well! A mod showcase kindly created by Dar'ShonDo -- check out the channel for more awesome mods! A promo piece by GamerPoets -- don't forget to check out their channel for more great videos. My deepest gratitude to Bizous / Onmymind Entertainment for the cool video! Be sure to check out their channel. Super awesome hodilton was kind enough to create a promo video for my mods, big kudos!